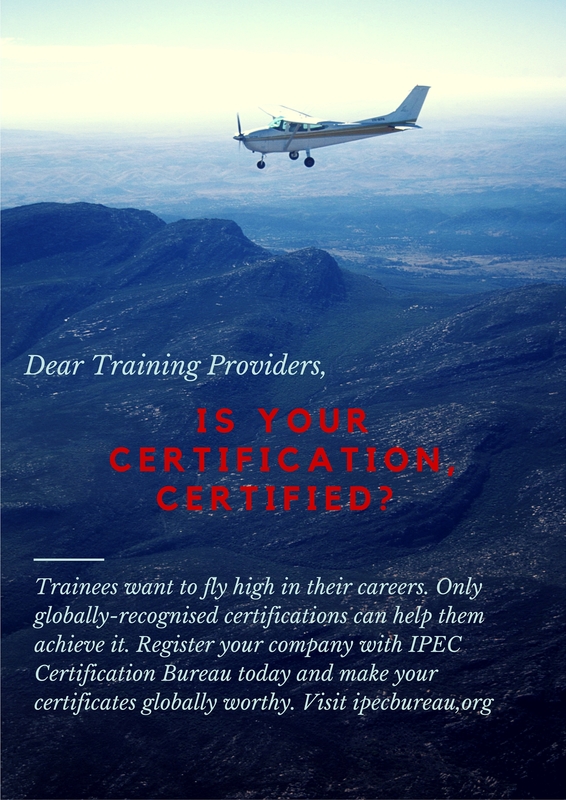 Are You Certified? – Before using any service, ask this. Talent mobility starts with open communication, learning another language will give us greater opportunity to work across borders. Hence, we are excited to be part of this Korean Speech Contest 2018 to promote Korean and Korean culture to foreigners as well as the Malaysian who studying Korean and Korean cultures. Let’s get to know more Korean skills and talk about Korean culture together. Feel free to join! Recently, we conducted an assessment for Professional Aesthetician certification through a comprehensive analysis report presentation and skill demonstration by the candidates. All these candidates are IE-Based (Industry Experienced Based), where most of them are beauty practitioners with more than 5 years industry experience but lack proper qualification. Want to know whether you are eligible to be certified? Ask us at ask@ipecbureau.org or simple just drop your message here. Malaysia’s very own IPEC Bureau, recently conducted an inclusive 2 days capacity building workshop on IPEC’S Mechanism of ISO/IEC 17024 for its stakeholder. With a strong vision in unleashing our human potential within the workforce, this workshop was held to cultivate business continues improvement, integrity as well as to redesign thinking shifts beyond competing current megatrend market. The capacity building which was held from 30th to 31st July 2018, witnessed ISO experts share their insights on the quality management internal audit skills and IPEC Training and Examination Provider procedures with cross reference to ISO/IEC 17024. All participants were invited to present their Blue Ocean Canvas Strategy base on their realistic work-based environment. Interested to be IPEC-ed? Ask us at ask@ipecbureau.org or simple just drop your message here. We will be launching Bulletz Magazine in August 2018.There is tremendous energy and creativity at IPEC BUREAU with our new structure and our incredible talents. Interested in advertising opportunities or to be part of us? Leave us a message or call us at 03- 20267733or ask@ipecbureau.org. Stay tuned. We might be in the midst of our expansion plans but it’s business as usual at IPEC Bureau and our latest issue of Bulletz features highlights of the V Convention extravaganza in Penang and the crucial meeting with DBKK in Sabah which will pave the way for regulatory efficiency of the beauty industry at local authority level. There’s a reminder for grant applications that you will need to take note of, as we are fast approaching deadline. Enjoy the read and Happy Labour Day. The much-awaited V-Convention MALAYSIA 2018 or V-Con, as it’s popularly known, kicked off at the Subterranean Penang International Conference & Exhibition Centre (SPICE). The theme for V-Con Malaysia 2018 – organised by Q Net, a prominent direct selling company – is One People, One Planet, One Purpose in conjunction with 20th Anniversary of Qnet. The Founder of V-Convention Dato’ Sri Vijay Eswaran officially welcomed 15,000 participants from 70 countries such as Malaysia, India, UAE, United States, United Kingdom, Russia, Singapore, Australia,Philippines and more. IPEC Bureau’s Chief Executive Officer Dr Juliana Lim together with Standards Malaysia Director of General Datuk Fadilah Baharin were invited to the convention which staged a grand celebration for thousands of attendees, mainly entrepreneurs, with passion for building a better life for themselves and empowering others around the world. The Quatum Energy Scientist Prof Dr Konstantin Korotkov was invited to speak on the launch of a new energy product at the Qnet carnival. V-Con is a five-day convention featuring world-class motivational speeches, training sessions and impressive exhibitions, with nine countries having hosted this event.